Colac is a small city in the Western District of Victoria, Australia, approximately 150 kilometres south-west of Melbourne on the southern shore of Lake Colac and the surrounding volcanic plains, approximately 40km inland from Bass Strait. Start off your visit on the 16th (Sun): take in nature's colorful creations at Colac Botanic Gardens. Here are some ideas for day two: have fun and explore at Camperdown & District Heritage Centre, pause for some photo ops at Manifold Clock Tower, then ponder the world of politics at Courthouse Camperdown, then pause for some photo ops at Robert Burns Statue, and finally take in the dramatic scenery at Erskine Falls. To see where to stay, photos, ratings, and more tourist information, refer to the Colac day trip planning site . Sydney to Colac is an approximately 6.5-hour flight. You can also drive. Expect little chillier temperatures when traveling from Sydney in June; daily highs in Colac reach 16°C and lows reach 6°C. Finish up your sightseeing early on the 18th (Tue) so you can go by car to Warrnambool. Warrnambool is a regional centre and former port city on the south-western coast of Victoria, Australia. Bring the kids along to Lake Pertobe Adventure Playground and Logan's Beach. 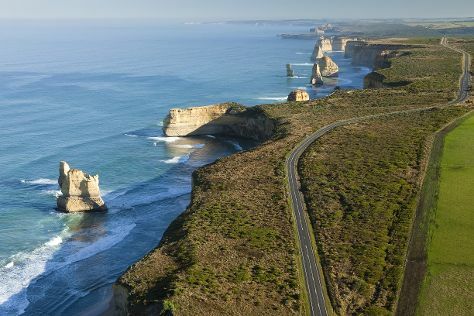 Explore Warrnambool's surroundings by going to Port Campbell (The Twelve Apostles, London Bridge, & more). There's much more to do: get impressive views of Tower Hill Wildlife Reserve, examine the collection at Flagstaff Hill Maritime Village, contemplate the waterfront views at Bay of Islands, and grab your bike and head to Foreshore Promenade. To see ratings, traveler tips, where to stay, and other tourist information, use the Warrnambool sightseeing planning website . You can drive from Colac to Warrnambool in 1.5 hours. Finish up your sightseeing early on the 21st (Fri) so you can go by car to Portland. Portland is a city in Victoria, Australia, and is the oldest European settlement in the state. Start off your visit on the 22nd (Sat): take in nature's colorful creations at Portland Botanical Gardens, learn about all things military at World War II Memorial Lookout, examine the collection at Portland Powerhouse Motor and Car Museum, then immerse yourself in nature at Cape Nelson State Park, and finally enjoy the sea views from Cape Nelson lighthouse. Plan trip to Portland with our itinerary maker to find out where to go and what to do. Traveling by car from Warrnambool to Portland takes 1.5 hours. In June, daily temperatures in Portland can reach 15°C, while at night they dip to 7°C. Wrap up your sightseeing on the 22nd (Sat) to allow time to travel to Apollo Bay. Apollo Bay is a coastal town in southwestern Victoria, Australia. Explore Apollo Bay's surroundings by going to Port Campbell (Port Campbell National Park, The Razorback, & more). Next up on the itinerary: delve into the lush surroundings at Mait's Rest, play a few rounds at Apollo Bay Golf Club, get great views at Mariners Lookout, and stop by Karmic Goat Soapworks. For traveler tips, other places to visit, ratings, and more tourist information, read Apollo Bay route planner. Traveling by car from Portland to Apollo Bay takes 4 hours. Finish your sightseeing early on the 25th (Tue) so you can drive to Torquay. 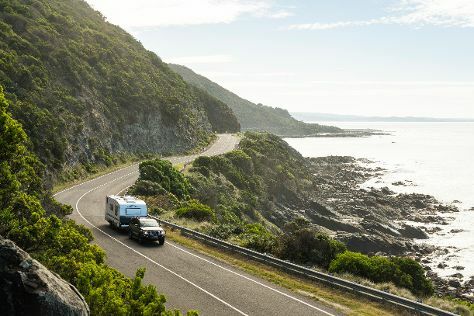 Set against the stark but scenic coastline of the Bass Strait--the body of water separating Victoria and Tasmania--Torquay is a prime location for surfing and beach life in general. Attractions like Lorne Beach and Bells Beach make great kid-friendly stops. Venture out of the city with trips to Lorne (Teddy's Lookout & Great Ocean Road Story) and Split Point Lighthouse (in Aireys Inlet). Spend the 29th (Sat) exploring nature at Point Addis Marine National Park. And it doesn't end there: admire all the interesting features of The Great Ocean Road, let little ones run wild at Torquay Foreshore Play Park, walk around Coogoorah Park Nature Reserve, and indulge in some personalized pampering at some of the best spas. To find traveler tips, ratings, reviews, and other tourist information, go to the Torquay trip planner . Getting from Apollo Bay to Torquay by car takes about 1.5 hours. Other options: take a bus. In June, plan for daily highs up to 16°C, and evening lows to 6°C. Finish your sightseeing early on the 29th (Sat) to allow enough time to travel back home.